It's been two full months now since we arrived in Austin and I haven't found a job yet. During this whole time I've been doing everything I can to hone my writing craft and get in tune with the creative flow. I've had a difficult time, to say the least. My recent post on the Three Stages of Creative Struggle was born out of my reflections on this inner battle. As easy as a life of writing all day may seem, and as much as I've always hoped to achieve such a lifestyle, it certainly ain't easy. I've spent much of the last four years being stuck languishing in office jobs I wasn't interested in, now that I'm free I find there's more pressure than ever to produce. I have a tendency to be tough on myself and, along with that, I'm always comparing myself and my abilities to the author of anything I happen to read. This is dangerous because there are so many great writers out there but it's especially bad when one spends so much time reading James Joyce, arguably the best writer of the 20th century if not the greatest ever. It is months since I have written a line and even reading tires me...I have gradually slid down until I have ceased to take any interest in any subject. I look at God and his theatre through the eyes of my fellow-clerks so that nothing surprises, moves, excites or disgusts me. This reminded me of a paragraph I had just recently read in Finnegans Wake where Shaun is talking to his brother Shem (who's a version of Joyce himself, Shem being short for "Seamus" which is Irish for "James") and it also seemed to relate to the way I feel right now. Miserable with his bank job, Joyce gave notice that he was quitting, and then made several unsuccessful attempts to find a job in another city. While he was constantly being turned down, his first book, a group of short stories called Dubliners, was being rejected by publishers and his wife was flipping out that their impoverished life needed to become more tolerable. Joyce made one last attempt to find a job and failed. Then to top it all off, his wife was pregnant again. He eventually just said "screw it" and decided to move back to Trieste even though there was no position for him there. On the night before they were to leave, Joyce got extremely drunk in a cafe with a couple of random low-lifes. He had just received his final paycheck from the bank job and in his stupor he happened to show off the contents of his wallet. When he walked out of the cafe, the guys he was drinking with knocked him out cold and took all his money. Thankfully, there was enough money left inside the house that the next morning Joyce was able to hop on a train with his family and get the hell out of Rome. Needless to say, my life as I'm currently living it is not nearly as bad. I don't have any extra mouths to feed and, though I haven't worked in two months, I had enough money stashed away to serve as a parachute for my financial descent. I always say that I'm really amazed nobody has made a movie about Joyce's life yet and reading about his Rome sojourn not only confirms that sentiment but it actually serves as an inspiration. If he could persevere through all that crap and continue on his creative path, surely I should be able to defeat my own inner demons and carve out my creative projects, whether I'm working in a crappy office job or not. Why don't you write the movie, PQ? As a matter of fact, April is Scriptfrenzy with its challenge of knocking off a hundred page script in the month of April. You could get a rough draft together. Anyway, I find it fascinating that Joyce and Rome did not click. I'd have thought that as a rubbish heap of history, Rome would have interested him. That's a pretty damn good idea. I'll have to pick up a Screenwriting-for-Dummies type of book and brush up on the huge Ellmann bio. The more I learn about Joyce's crazy life, I find it more and more amazing there hasn't been a film about him yet. You can take any single decade from his bio and make a great movie. You could isolate just one chapter from A Portrait of the Artist and make a good movie. Heck, you can adapt Portrait's Christmas dinner scene alone and it would be better than much of what you see on TV. And that's a great point about Rome, I think it just wasn't the right time. He was 25, not established at all in his art, overwhelmed by all the tourists. 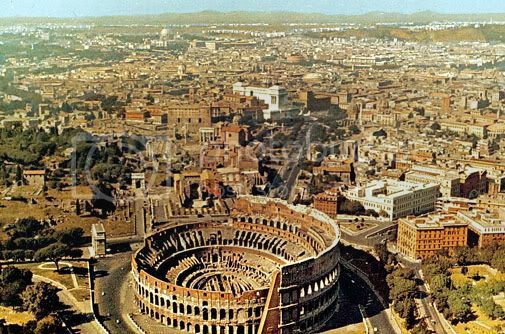 He absolutely HATED Rome and it's funny that you use the rubbish heap imagery because he considered the city to be made up of "flowers of death, ruins, piles of bones, and skeletons." Well, I hope you do. I think even just writing up a screenplay about this part you've told here would be great. And now that you make me realize that yes, he was twenty-five, I bet Rome was very informative after the fact. He had found some of his material and just didn't know it. I thought I'd add that if you do decide to do this, you can download Celtx script software for free, which makes all the formatting headaches pretty much non-existent. It actually makes it kind of fun. I think you'd get something else to take it further, but it's a good way to begin.